Security-Alert: Active links in Messenger 2009 temporarily turned off to prevent a malicious worm! Normally, when Messenger sees a web address in a conversation it is turned into a hyperlink which, when clicked, automatically opens in a web browser. This feature makes it very easy for the malicious worm to be unknowingly installed on your computer by clicking on the link and being sent to a web site containing the malicious software. We’re pursuing a number of activities to help protect you, working actively with industry experts and law enforcement to help stop this criminal activity. Most notably, we’ve temporarily turned off active hyperlinks for web addresses sent in IM conversations using Windows Live Messenger 2009. You will still be able to copy a web address and paste it into a browser window if you know it to be safe, but by removing active hyperlinks from Messenger 2009, we’re taking a significant step towards stopping the unintentional spreading of this worm. Because we’ve now blocked active links in Messenger 2009, starting today, some customers may also see a notification in the main Messenger window warning them that some features might not be available. Messenger 2011 is not impacted in the same way, thanks to its Link Safety feature. However, we are actively monitoring the situation and investigating different approaches to help protect customers using the latest version of Messenger, should the situation change. As always, we encourage customers to exercise caution with links to web pages that you receive in IMs, especially if the links are to a web page that you are not familiar with, unsure of the destination of, or suspicious of. Malicious software may be installed in your computer simply by visiting a web page with harmful conteaqnt. Facebook has taken action against developers it caught selling user names and contact lists. The sales were uncovered as Facebook investigated a web browser bug that let user IDs be shared inadvertently. The user details were sold to data brokers who used the information to target adverts more precisely. 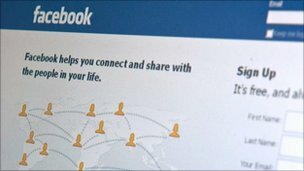 The developers have been banned for six months from connecting to Facebook and must be audited to check they comply with the social network’s policies. Facebook started investigating what was happening with user identifiers (UIDs) following media reports that the information and lists of contacts were being sold on to advertising firms. In a blog post, Facebook said its investigation showed that the technical demands of some browsers meant that some user IDs were being leaked. It also discovered that some developers that create applications for the social network were taking the user IDs of those who used their creations and selling them on. Despite this, it said, it took the breach “seriously” and had imposed a six-month ban on the developers it caught out. Facebook said the investigation “determined that no private user data was sold and confirmed that transfer of these UIDs did not give access to any private data”. Facebook did not identify which developers were being punished and only said there were fewer than a dozen of them and none had any applications in the top 10 most popular used on the social network. It named ad-targeting firm Rapleaf as one of the data brokers which had been buying UIDs. It said it had reached an agreement with the firm which would end Rapleaf’s involvement with any application on Facebook now and in the future. Source BBC News & the Facebook Blog. Aofficial app for users of the popular WordPress blogging software is now live on the Nokia’s fast-growing Ovi Store for mobile apps. It lets you blog on the go, and it rivals the other platforms in features so Nokia-using bloggers have plenty to be happy about. WordPress already released official apps for Android, iPhone and BlackBerry so people can update their WordPress blogs from their mobile phones. The apps work for blogs hosted on WordPress servers and for blogs hosted elsewhere that just use the WordPress platform and content management system (CMS). Since WordPress is an open source project, you can also grab the source code for the app — just in case you’re extra savvy and want to make some modifications. The app supports WordPress 2.7 and up as it is but talented coders should be able to build in support for proprietary versions of WordPress and extra features to boot. Like its counterparts on other platforms, the Nokia app is free. It’s not yet compatible with Symbian3 devices like the N8, C6, C7, but it works just fine on the N97 Mini and the X6. Head over to the Ovi Store to download it if you’re a Nokia user. Who’s willing to bet that Windows Phone 7 is next?